Strange title but I will explain in-depth why search engine optimisation for industries that are considered “ugly” or “boring” is the most effective marketing strategy and why all business owners should invest as must as possible into marketing their site on the search engines. Although SEO is the most effective long term, there is nothing wrong with using PPC for shorter term gains. I personally recommend to clients to do both, utilise ads and the organic results and you can get even more traffic, once you rank 1st or in the top 3 for your pre-selected keywords you can reduce the amount of ads you run to increase your profit margins! It’s easy except it takes a lot of money and time. I recently finished a digital marketing campaign for garage shelving UK, as you can guess this was a site that sold garage racking, shelving, pallet racking and all of that stuff. The competition was crazy high, Amazon, B&Q, Homebase, Argos, Tufferman all on page 1. We were currently on page 2. Trying to outrank these guys was going to take some funds and some smart SEO. We knew links and great on-page would do it (like anything else) so we went to work. The reason SEO is so much more important for boring industries, such as the garage shelving one (Yawn.) Is that people don’t bother shopping around. There is not really many styles of shelving and as long as you set-up your site well and its easy to purchase and your prices are what people “expect” to pay, they will just buy from you without really looking around for a better deal or a different product. This is the same for local industries as well, people would rather save time than money when it comes to generic or less interesting products. And as a result ranking in the top 3 results for competitive keywords, means this traffic converts extremely well!! I’m talking 10% range. For our example we had around 10,000 per month across 4-5 primary keywords. 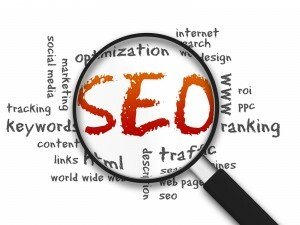 Ranking 1st for all of these keywords would lead to around 4,000 organic searchers a month. At a 10% conversion rate that’s 400 sales a month and at an average customer check-out value of £200, that’s 400 x 200 = £80,000 a month in sales. The company was currently only doing around £5,000 in sales from some longer tail keywords and PPC and social media ads. I explained the situation to them, that the conversion rate for this search engine traffic is worth more than what you are spending on social. As a result we completely scraped the social media campaign which opened up around £500 / month for seo. He also introduced another £500 a month for SEO. Which meant we had £1,000 per month for 6 months to work with. Although we aren’t ranking 1st (or anywhere near) at the moment, we are onto page 1 and the conversion rates are still holding around 8%. 1st would likely lead to £80k of sales!